Sourced from Property Investment Professionals of Australia. Despite talk of property price bubbles, tightening investor lending policies and roaring debate over the future of negative gearing, Australian property investors remain bullish about the long-term merits of residential real estate, a new survey has found. 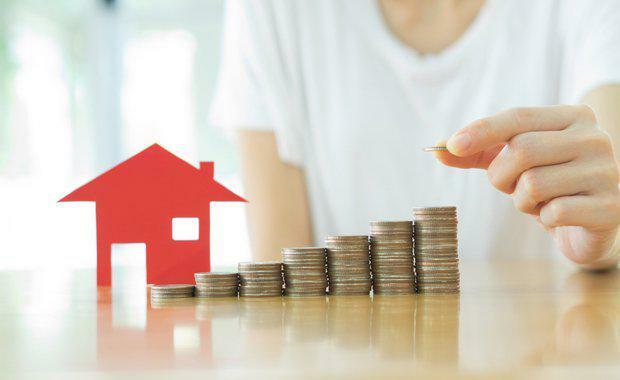 The second annual Property Investment Professionals of Australia (PIPA) Property Investor Sentiment Survey, which gathered insights from more than 1,000 property investors, shows that more than 70% of respondents think now is a good time to invest in property. This figure was up by five percentage points compared with last year. While 32% of investors say that recent changes to lenders’ investment policies have affected their ability to secure finance, 58% are nonetheless looking to buy a property in next 6-12 months. According to the survey, 72% of investors are not worried about the potential removal of negative gearing and only 2% think that the currently available negative gearing concessions are the key attraction of real estate investment. Moreover, the survey shows that almost half (47%) of property investors are positively geared and a majority (63%) of investors who are currently negatively geared expect they will become positively geared within five years. In addition, only 13% of investors see record low interest rates as the key reason why property is the most attractive investment choice right now. PIPA chair Ben Kingsley said that the survey results confirm that property investors remain focused on the long-term benefits of property investment. “Similar to last year, most property investors are looking past short term challenges, remaining focused on the long-term wealth benefits that are available from residential real estate, including the potential for capital growth and rental income. Importantly, most investors are not speculating on quick gains in a low interest rate environment. “The survey also affirms that a lot of the discussion about negative gearing misses the mark. "Most investors understand that negative gearing is only a short term cash flow position, not a property investment strategy. And only a very small minority are attracted to real estate for these tax concessions,” Mr Kingsley said. The number of investors who believe Brisbane offers the best investment prospects has fallen slightly – from 58% to 50% over the last year – but the city remains far ahead of any other capital cities (Melbourne 20%, Sydney 11%, Adelaide 9% and Perth 4%). “Property investors are becoming more savvy. Many of them continue to look outside of our biggest property markets - Sydney and Melbourne - which are coming close to the peak of their cycles,” said Mr Kingsley. Mortgage brokers remain by far the most important source of finance for property investors, with 65% of investors (66% in 2015) securing their last investment loan through a broker. Some 71% plan on securing their next investment loan through a broker. “In the complex borrowing environment we are now facing, brokers continue to play a key role as providers of finance to investors. They tend to better understand the investment lending landscape and offer great choice to investors,” Mr Kingsley said. The survey also shows that a vast majority (80%) of investors would choose or refinance to a lender offering the option of an interest-only repayment period, as opposed to a lender who did not offer such a period. And 66% of investors would choose or refinance to a lender if it offered the same interest rates for investors as owner-occupiers. Although investors are becoming more sophisticated, with 31% having a set strategy for investing, they overwhelmingly (87%) consider that more investment education about the risks and potential benefits of investing in property is needed. Even higher numbers (89%) believe that the property investment industry should be regulated and licensed in the same way as many other professionals. “Unlike financial planning and mortgage broking, the provision of property investment advice still remains unregulated. “PIPA is committed to raising the professional standards of this industry and will continue to lobby the government to regulate property investment advice and educate investors to help them make informed investment decisions,” Mr Kingsley said. A copy of the 2016 Property Investor Sentiment Survey Report is attached. For full survey results visit www.pipa.asn.au/survey2016.